Once a company has determined that acquisitions are going to be the most cost effective way to increase shareholder value, the next step is to develop criteria for potential acquisition targets. This will serve as a guide, but it’s important to remember that one needs to be flexible. No target will fulfill every requirement. As we say, a buyer needs to be optimistic and opportunistic if a successful transaction is going to be completed. It might be a good idea to rank the criteria so that one has an idea of what the most important objectives are to the buyer. This will help the buyer navigate through the potential targets faster and more efficiently. The type of questions one should ask in order to develop criteria should fall under the following categories: general, operating, and financial. In terms of general criteria, there are many important questions to consider. Is retaining management important? How important is the geographic location of the target? How much ownership is the buyer willing to accept if less than 100 percent? Are the corporate cultures compatible? When thinking about operating criteria, what products and industries are you interested in? Is market share important? What kind of distribution channels does the other company have? How advanced is the acquisition candidate’s technology? With regard to financial criteria, one needs to be clear on the objectives. What kind of revenues and growth rates are you looking for? What is an acceptable debt-equity ratio? What kind of multiple are you looking to pay and is that a multiple of EBITDA, revenues, etc.? How are you looking to finance the acquisition? Would you be willing to pay an earn-out? 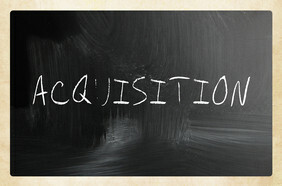 Does the acquisition need to be accretive right away? This is a very short summary of the items that should be considered when considering an acquisition. Obviously, some criteria will have greater importance than others depending on the buyer’s strategic goals. Your M&A advisor can help you develop the acquisition criteria, identify and contact the targets, and conduct sophisticated financial modeling and analysis of the potential target. The success of the acquisition starts with the search criteria and will be enhanced by additional analysis. An initial public offering or “IPO” is the first offering of stock by a company to the public. By completing an IPO, the once previously private company will become publically traded, subjecting it to additional regulatory pressures and costs but also allowing it greater access to the capital markets. A successful IPO will raise a large amount of money for the issuing company, which can be used for growth initiatives. By completing an IPO, the company will oftentimes receive better rates on its debt issuances due to increased transparency of the firm, making further funding less costly. A secondary offering occurs when a publicly traded company issues additional shares to the public. This can be done in order to raise additional funds for growth or to accomplish a refinancing. Secondary offerings may cause share prices to decrease as more shares of the company’s stock are now available on the market. Another form of secondary offering occurs when founders of a business would like to decrease their ownership positions in the company. This type of secondary offering is usually done over time as to not exert too much downward pressure on the company’s share price as a result of the increased selling volume. This type of secondary offering does not dilute current owners’ holdings in the company unlike secondary offerings in which additional shares are issued. 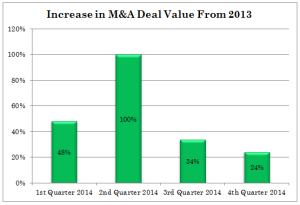 M&A volume in 2014 was dramatically higher than 2013. 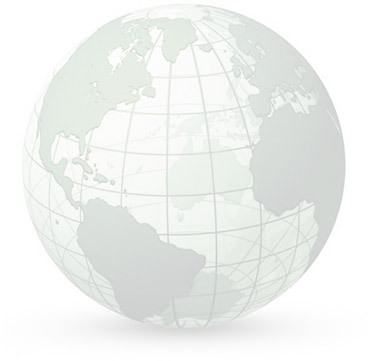 In 2014, almost US$4 trillion of transactions were completed versus US$2.6 trillion in 2013. By volume, 43,613 transactions were completed in 2014 versus 40,783 transactions in 2013. Graphically, here’s a look at the increase by quarter. By sector, Financial Services, Healthcare, and Energy/Power were the most active. An M&A auction is the process of presenting a company that is for sale to potential buyers. 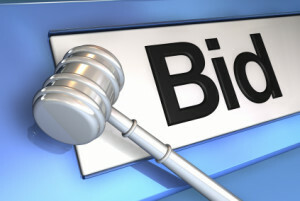 There are two different types of auctions, broad auctions and targeted auctions. 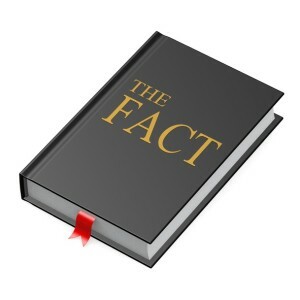 There are several advantages and disadvantages to each approach. Just as the name implies, a broad auction is designed to reach out to as many potential buyers as possible. Your M&A advisors, if he or she is well-experienced, should contact hundreds or even thousands of prospective buyers worldwide. This list should include both strategic and financial sponsors. The goal of this strategy is to maximize the competitive dynamics of the sales process to increase the odds of finding the best possible offer. It helps to ensure that all possible bidders have been reached and it limits potential buyers negotiating leverage. One of the concerns with this approach is maintaining the confidentiality of the transaction. Of course, an experienced M&A advisor will know how to conduct this type of auction without breaches of confidentiality and if done properly, this approach will insure the sale of the company for the best value and terms. A targeted auction is when your M&A advisor focuses on a few clearly defined buyers that are identified as having a strong strategic fit. These buyers should also be vetted to make sure that they have the financial resources to acquire the company. With a targeted auction is it much easier to maintain confidentiality and minimize any possible business disruption from the process. However, there is a much higher chance that the best possible value and terms will not be achieved due to the limited auction. The only way to insure the best possible transaction is to make sure that all possible buyers, via a broad auction, are included in the process. Your M&A advisor should be able to explain the pros and cons of each method and help the seller to make an informed decision. Discounted Cash Flow Analysis or “DCF” is a valuation method used in M&A transactions in order to determine the value of a company for sale. This method projects the future free cash flows of the company for sale and then discounts these future cash flows to their present value. Cash flows received farther in the future have less value to the business today and so are discounted more than cash flows that will be received in the near term. 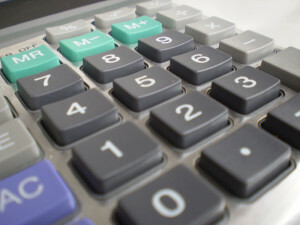 DCF analysis is one of the most commonly used valuation methods in M&A. While this method can be very useful in determining the value of a company, it can lead to inaccurate valuations if the underlying inputs of the analysis are unrealistic. In other words, the outputs of a DCF analysis are only as good as the inputs used in it. M&A transactions sometimes require financing and buyers must carefully weigh their financing options to ensure a successful acquisition, i.e., one that will not jeopardize their financial condition. It’s also helpful for sellers to understand why buyers offer equity versus cash or sometimes ask the seller to finance part of the purchase. Two of the most common forms of financing for acquisitions are the use of debt or the issuance of equity to fund the acquisition. Given that there are advantages and disadvantages to each form, many buyers use a combination of the two. Financing an M&A transaction through the use of debt can be appealing since it is typically cheaper for the company to issue compared to equity, which usually carries a much higher rate of return expectation from investors. Issuing debt has tax benefits because the interest payments are tax deductible and the increased leverage can also boost a company’s return on equity. Another benefit of issuing debt is that no additional shares are issued and so there is no dilution of ownership. On the other hand, there are many notable downfalls to financing through debt. The issuance of too much debt will hurt the company’s credit rating which would hinder its ability to borrow money in the future and would lead to an increase in the company’s cost of debt. Debt issuance may also be limited by existing lender covenants that set a restriction on the amount of debt the firm can assume. This might make it impossible for some companies to borrow enough money to make a large acquisition. When equity financing is utilized, a buyer can either offer its stock to the target firm’s shareholders or offer cash, which would be generated by the proceeds from an equity offering. Despite the higher cost of equity, it is still very common in M&A transactions because of the flexibility it provides the issuers. Some of the benefits of equity include (i) no mandatory interest payments, (ii) no principal that must be repaid, and (iii) no restrictive covenants related to its issuance. Financing an M&A transaction with equity has no impact on a company’s credit rating therefore allowing them to issue debt in the future if needed. Equity offerings can however have negative side effects. Issuing stock can hurt a firm’s earnings per share and return on equity as it becomes less leveraged. Furthermore, the volatility of a company’s share price can cause uncertainty about the exact acquisition valuation, which in turn can increase the amount of time needed to reach a closing or even destroy the planned transaction. 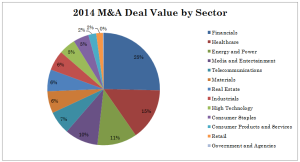 Frequently, public companies use equity financing as their preferred form of payment in M&A transactions. Nevertheless, debt still plays an important role because of its cost effectiveness and the advantages of leverage. An experienced M&A advisor can help buyers and sellers figure out the best combination of debt and equity for any particular transaction. A Confidential Information Memorandum or “CIM” is used to market a business for sale to prospective buyers. The CIM or Offering Memorandum is usually created by the financial advisor of the business for sale and includes important information that a prospective buyer would need to submit an initial offer for the company. The CIM describes the business and its operations in detail, as well as includes the company’s financial statements. A strong CIM will highlight the company’s strengths and help prospective buyers understand the full potential of the investment. Normally, CIMs are not distributed to buyers until they have signed strict Non-Disclosure Agreement which prohibits the prospective acquirer from using any of the information for purposes other than the sale transaction. 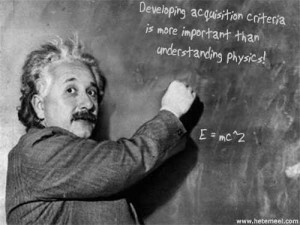 There are several reasons why a company should make acquisitions. Listed below are some scenarios in which establishing an acquisition program can ensure your company’s continued success. You may need to strengthen your position in the market if it is expected to have little or no growth or to mitigate competition. You may also want to “jump” into a related market or even venture into a new growing market. You may decide that it is necessary to increase the size of your business through an acquisition to gain economies of scale. Doing this may allow you to keep up with larger competitors that qualify for better interest rates, access to commercial paper markets, and generally are able to get better terms for financing. By realizing these advantages through an acquisition of another company, division, or product line, one will be able to grow the business faster. Another issue that some businesses face is that they sell a specialized product line to a limited number of customers. Due to market conditions, these customers in turn “force” the company to accept smaller profit margins. In turn, when suppliers see the company becoming less profitable they are less inclined to offer favorable terms for payment. Meanwhile, larger competitors that sell to a more diverse customer base or sell a broader array of products are not affected by these problems. The acquisition of another company is a viable option to expand the customer list or product line and avoid these problems. The challenge is ultimately to understand how your company is positioned in the market and visualizing how you would like to position it in the future. It is important to accurately identify your company’s strengths and weaknesses so that you can eliminate or mitigate the weaknesses and enhance your strengths through an effective acquisition program. 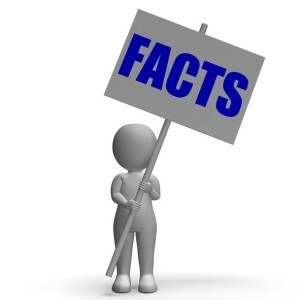 M&A Factoid – What is Due Diligence? With regard to M&A, due diligence is an audit of a potential investment, which takes place prior to the closing of a transaction. Due diligence is not only an opportunity for buyers to thoroughly examine the financial statements, physical assets, intellectual property, etc. of a potential acquisition, but is also an opportunity for the seller to assess the potential buyer and their ability to fund the transaction at closing. Due diligence is a critical step in the M&A process, as buyers use it to ensure they understand what is being purchased and sellers use it to become better acquainted with the potential acquirer. Deciding whether to sell a business is often a difficult decision for an entrepreneur to make, particularly the first time seller. Over the years, we have found that entrepreneurs have five fears: legacy, customers, employees, value, and confidentiality. One common fear entrepreneurs have when deciding to sell a business is the wellbeing of their legacy. Entrepreneurs may be concerned that the sale of their business could mean the end of their product or service or possibly the discontinuation of their company’s legacy. In most cases, buyers are interested in a business for the value its products or services bring to customers or the reputation of the company’s brand. Buying a business simply to remove a competitor is not commonplace and is typically not a good use of funds by an acquiring company. A good financial advisor should be able to identify reputable buyers that will respect the entrepreneur’s legacy. Typically, these buyers will place a higher valuation on the company as they want to leverage the company’s brand. Entrepreneurs also worry about their customers and how they will be affected by the sale of the company. For many entrepreneurs, the customer has been their main focus throughout the years and they want to ensure these customers will continue to have their needs met. The customer list is an important asset that a buyer is acquiring in a transaction and is often times seen as one of the key areas for potential synergies. Acquiring companies seek to continue great relationships with newly acquired customers in order to sell additional products or services to them and to maintain their own reputation in the marketplace. For these reasons, entrepreneurs should feel confident that their customers would receive the same level of attention and service that they had been provided in the past. Entrepreneurs worry about the future of their employees, especially those employees who have worked with the company for years or maybe even decades. The thought of co-workers and friends being terminated after an acquisition is terrifying to most business owners. As worrisome as this may seem, the reality of the situation is usually just the opposite. In the middle-market, there are rarely acquisitions in which a company is acquired and the employees are fired. Most buyers are purchasing a business to grow it so they are usually anxious to keep the staff and to add additional employees. In the rare instances when employees of an acquired firm are fired, the buyer will ensure that they receive generous severance packages and may even help these employees find new positions. Buyers do this, as it is important for them to maintain a positive reputation as a responsible buyer. If they do not do that, they risk not being able to acquire other companies. Another fear of entrepreneurs is that they will not achieve the maximum value for the business they have built. This focus can sometimes lead to sale paralysis during times when the business is growing. Entrepreneurs may think to themselves “my sales have been improving, if I hold off on selling my business for another year or two, perhaps I can get a lot more for my business.” This mentality exposes an entrepreneur to many unforeseen risks. Should sales decline before the start of the sale of the business or during the sale of the business, the valuation of the company will be significantly reduced as buyers like to see positive trends and are willing to pay in the present for future cash flow. To solve this dilemma, an entrepreneur’s financial advisor would structure and negotiate an “earn-out” to the deal structure that will reward the entrepreneur with future cash payments should the business meet performance thresholds. With this type of mechanism in place, entrepreneurs do not have to worry about not receiving “credit” for future performance. It also eliminates the risk of a reduction of value should the business have a sales decline before or during the sales process. Lastly, entrepreneurs worry about sharing confidential information during the sales process. While this fear is certainly understandable, in many cases it is blown out of proportion. 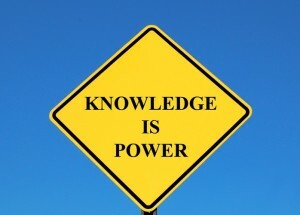 An experienced financial advisor can guide an entrepreneur through the sale process in such a way that anonymity of the business for sale is maintained until a potential acquirer has proven itself to be serious and have executed a strict Non-Disclosure Agreement or “NDA.” Such NDA would prohibit the buyer from utilizing any information obtained from the process for purposes other than the sale transaction. 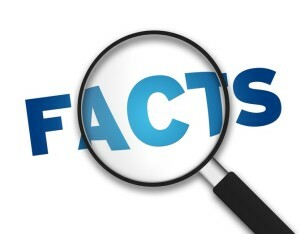 It is also important to note that acquiring companies and financial buyers go to great lengths to maintain their reputation as professional buyers, which means that they use confidential information very carefully. Companies that fail to respect confidential information, either before or after executing a Non-Disclosure Agreement, are rarely shown deals by sellers or their financial advisors. This penalty is real! 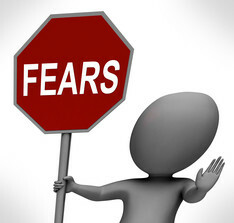 The best way for an entrepreneur to ease these five fears is by engaging a professional financial advisor in the sales transaction. An advisor with a proven record of accomplishment for obtaining exceptional value and maintaining confidentiality can help an entrepreneur achieve the best possible transaction while mitigating his or her fears, and eliminating the risks related to selling the company.